The Mx3000P system is among the most reliable and trusted QPCR instruments available, with a long record of citation in peer-review journals. The systems are ideal for a wide variety of applications and chemistries (including but not limited to: gene expression analysis, microarray data validation, SNP genotyping, pathogen detection, DNA methylation analysis and chromatin immune-precipitation studies). • Four channels with customizable filters for multiplex up to 4 simultaneous targets. • Open platform supports all fluorescent chemistries. • MxPro QPCR Software – most powerful data analysis software available. 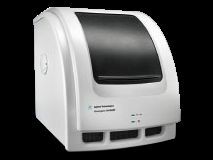 The Mx3000P QPCR System is an authorized real-time thermal cycler.